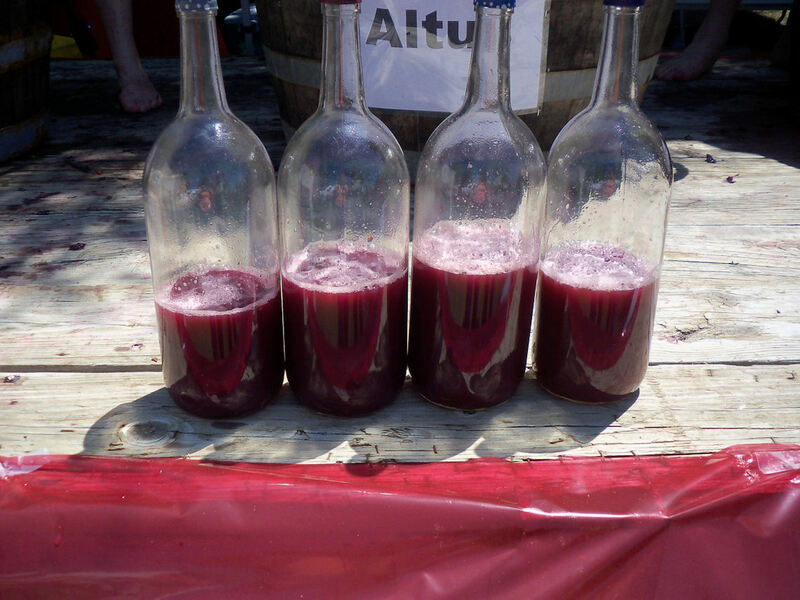 Stomping Grapes in Altus, AR is Cold and Squishy Work! 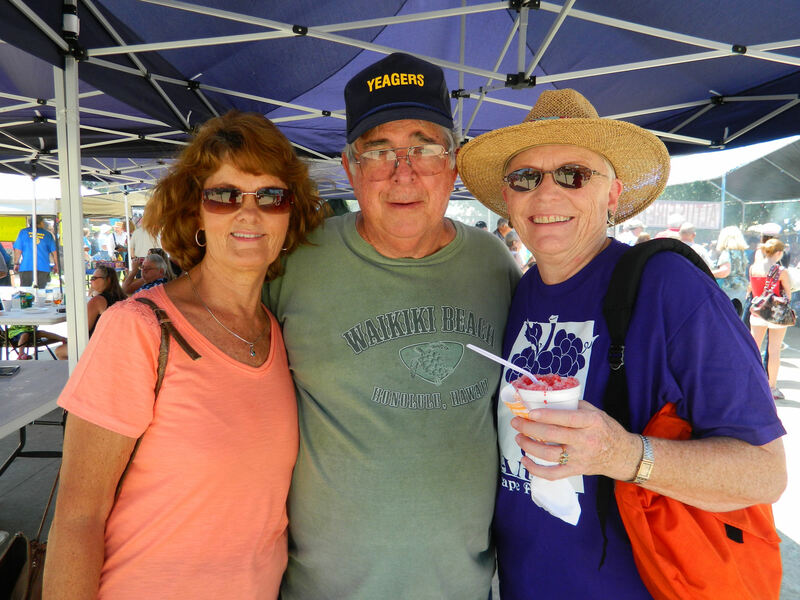 Welcome to this year’s Grape Fest! 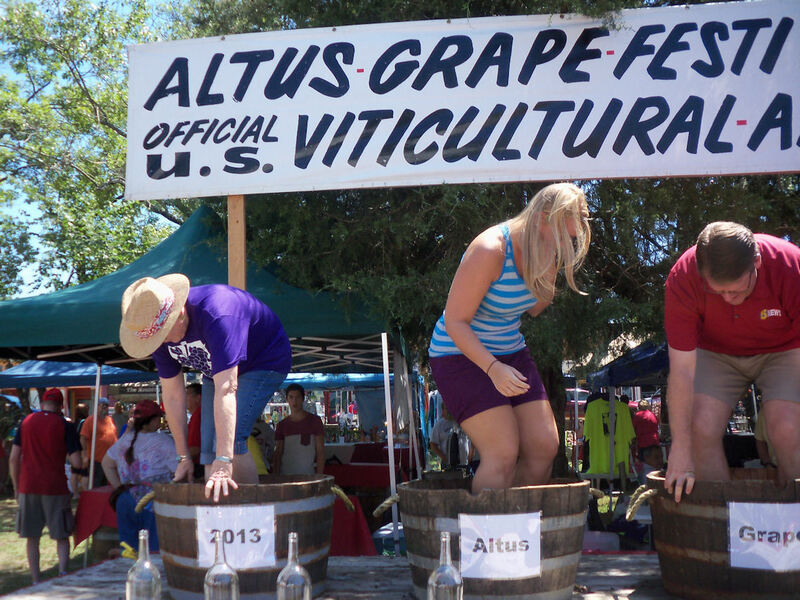 On the drive to Arkansas wine country for the annual Altus Grape Festival this past weekend, one thought kept playing over and over in my mind: PLEASE don’t let me fall down during the grape stomping competition! 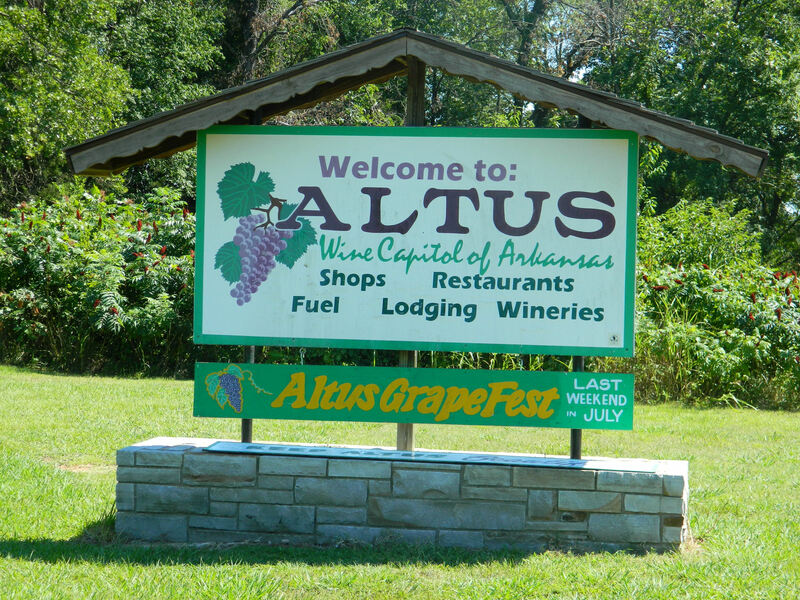 Altus, Arkansas is home to four award-winning wineries that offer tours and tastings, some of which have been around for more than 120 years! So it’s only fitting that the town would go all out to celebrate the grape. 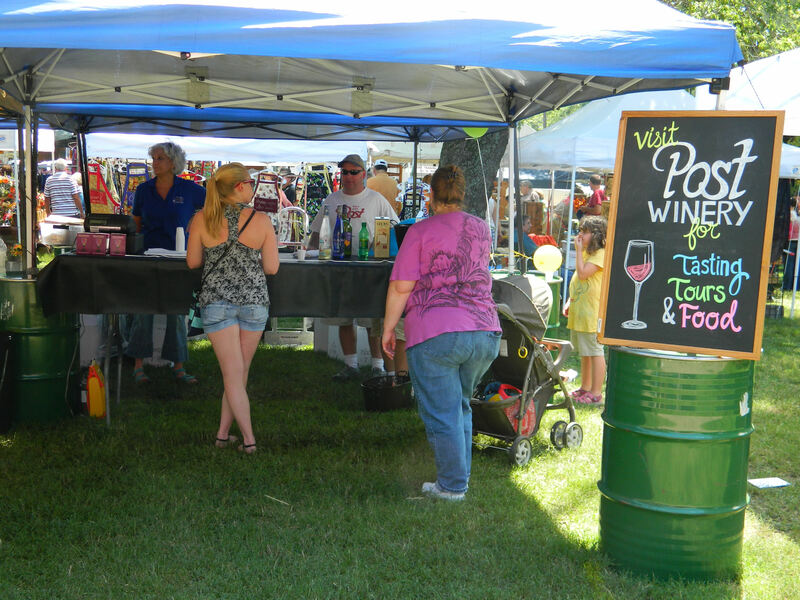 In fact, this year marks the festival’s 30th year of community fun, including wine and grape juice sampling, colorful food and crafts booths, live music, and plenty of rowdy competitions. 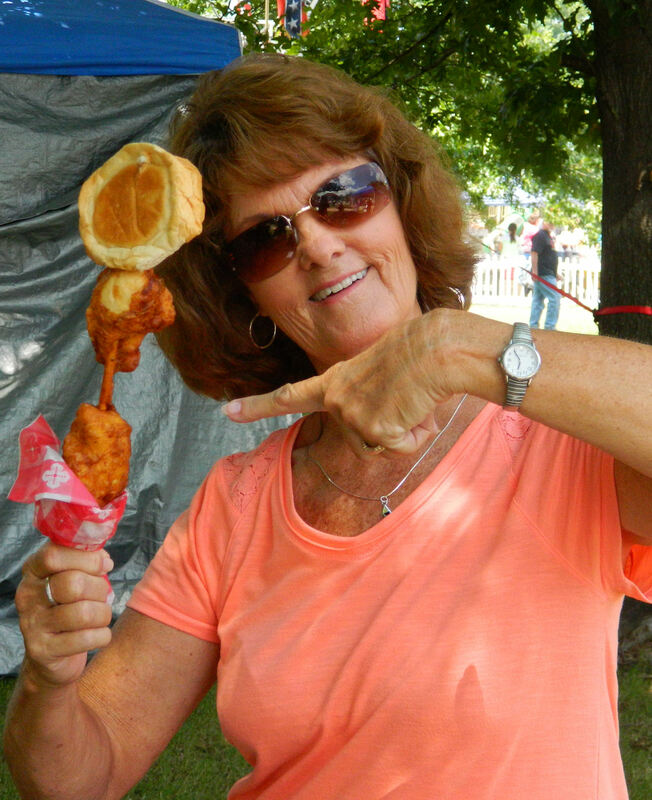 Mom with a “chicken sandwich on a stick” – delicious! A group of us drove over in the morning and spent many hours enjoying it all, including a “Tiger’s Blood” snowcone – which was actually just a refreshing strawberry/coconut flavor – and this deconstructed chicken sandwich on a stick! Other events included waiter/waitress tray races and a very competitive grape pie eating contest. 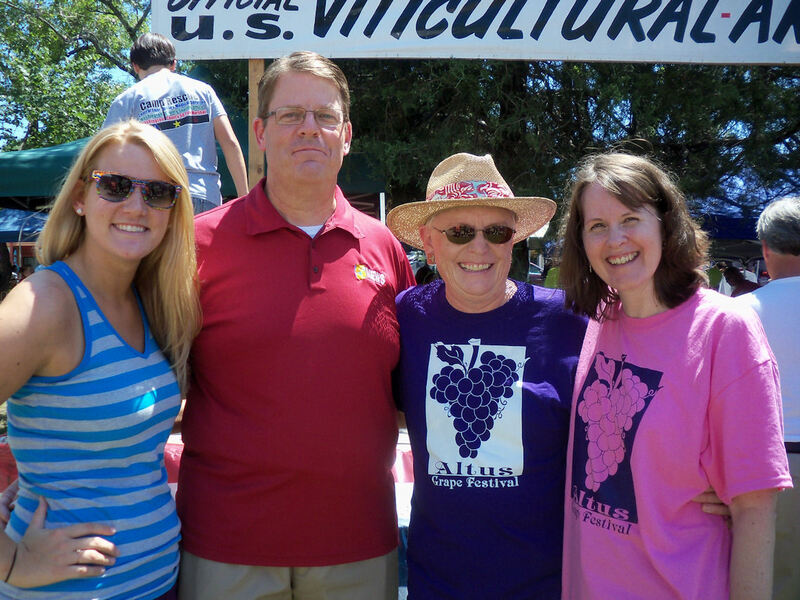 But the event my friend Sandy Conner and I most looked forward to (although I was also a little apprehensive due to not being the most graceful person), was the grape stomping competition. And we discussed strategies all during Saturday’s drive from the Fort Smith area. We knew that there would be 4 against 4 competitions throughout the day. But although we signed up as soon as we arrived at 10am, we found out that the soonest time we could grab was the 2:30 slot – which when we signed up, was completely empty. A little later in the day we saw local newscaster (from CBS affiliate KFSM) Daren Bobb and soon discovered that he was going to be stomping against us, guaranteeing that we’d be sure to attract a large crowd. Yep, that only made me even more nervous! But I was also excited to do something so silly and fun. 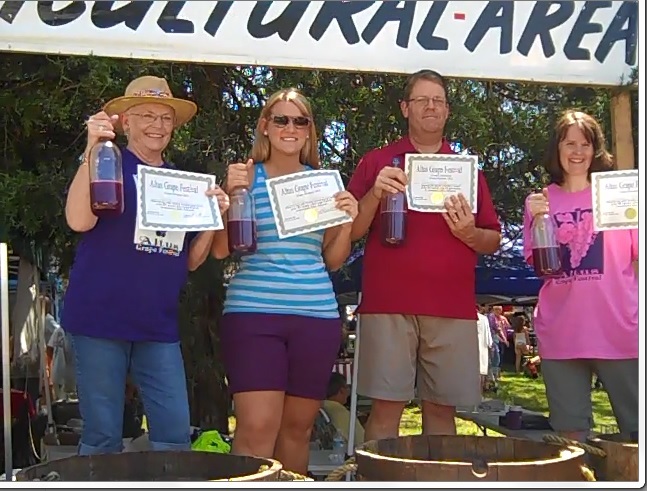 Right before our designated time, the festival organizers had us take off our shoes, walk up to the stage, and choose barrels to stand behind. Each already contained a huge bunch of grapes. After a bit of good natured trash-talking, we stepped into the really cold grape stew, heard “GO!” and started stomping as fast as we could. As you can see in the pictures and especially in the video clip at the end of the blog post, we all used our own methods. I have no idea what mine was. I guess I could only move one leg for a long time and then just the other one?? Sandy is on the far left and used more of a puttering around in circles that seemed very efficient. Daren just calmly stomped like someone who had done this many, many times before. Although it seemed much longer, time was called after just 30 seconds and we all crawled out of our barrels with very cold and tired feet. CONFESSION TIME: Right after I stepped out, I stepped backwards and… almost went right off the back of the stage. Somehow I caught my balance, but I am very relieved that my worst fears didn’t come true. And that I didn’t become part of an embarrassing viral video on YouTube. Ha! Each barrel was hoisted up and its contents poured into a large container with a hole. 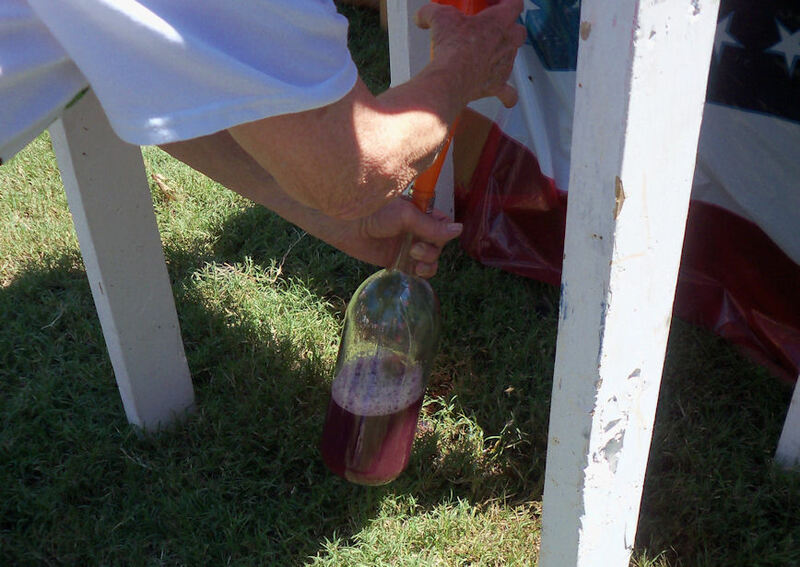 The juice then ran down through a funnel into a clear, glass bottle. Sandy’s was measured first and looked good. Then Allison Bobb’s was next and did a little better. When it was Daren Bobb’s turn, the juice ran fast as it quickly filled his bottle pretty high. Since I was positioned next to him, I had myself psyched out that I was going to do very poorly — and even held up my hands to signify a tiny measurement of what I thought I would get. Astonishingly, I didn’t do bad at all… but Daren did win pretty easily. Mine’s on the far right. Nope, didn’t win this one! Still, it was so much fun to hear the shouts of encouragement while stomping and when the juice was measured, and later when they awarded us with our participation certificates (okay, Daren’s said something like “big winner.”) We each also received our corked bottles of juice — but none of us had the guts to try a sip. Ha! Although this was a perfect end to our fun day, the festival went on for several more hours, cumulating with a night street dance. It’s great to see that this event is still so popular after all these years and looks to keep on going for many more to come. After all, I’ll be needing a rematch next year! By the way, thanks so much to my Dad, Hayes Copeland, for taking the video!! Wow! Takes me back to watching I Love Lucy! 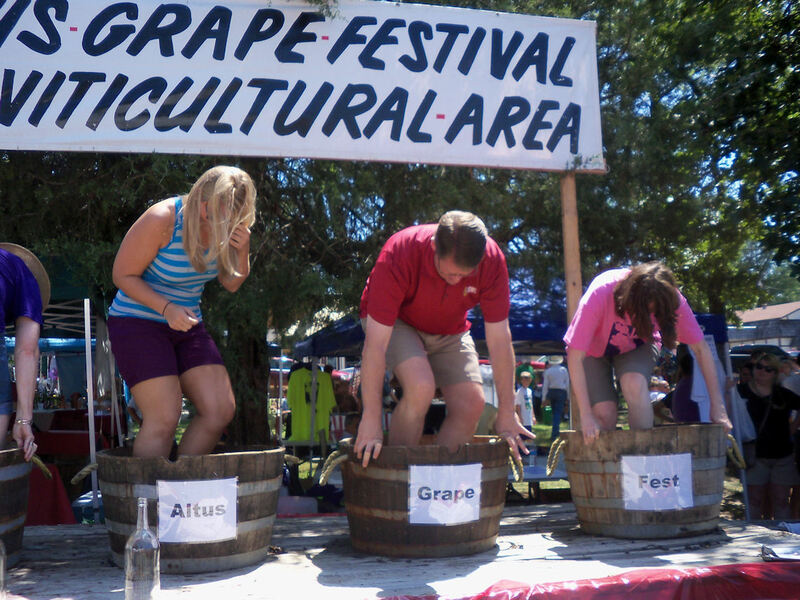 Had no idea there was somewhere to stomp grapes in AR.